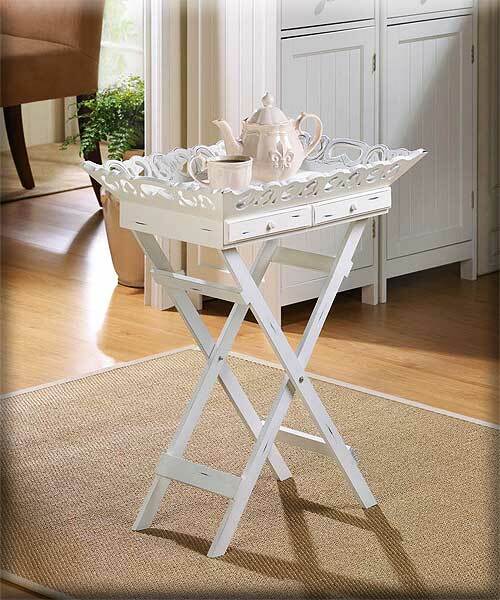 Stock# - 33139 Elegant Tray Stand - Gracious entertaining is a snap with this stylish tray table! Elegantly aged white finish with a carved rim and two handy drawers; folding legs for easy storage. 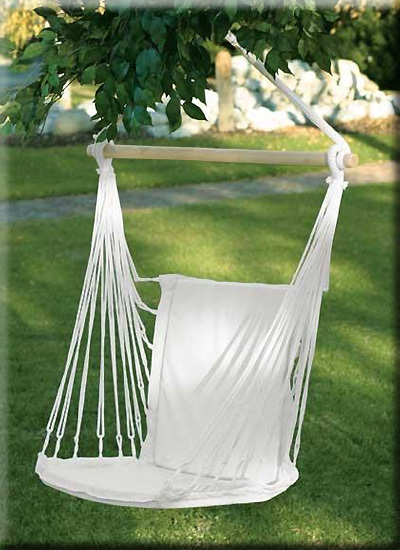 Stock# - 34302 Cotton Padded Swing Chair - A relaxing way to retreat from the day! Soft cotton padding and gentle rocking motion cradle you in exceptional comfort. Great for use indoors or out. Max Wt. : 200 lbs. Recycled cotton. 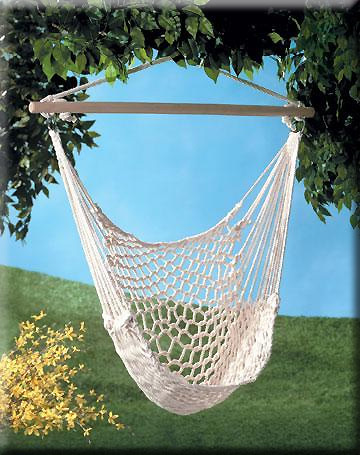 Stock# - 35330 Hammock Chair - Perfect to hang on porch or branch; comfy cradle chair will quickly become your favorite place to relax! Cotton with wood stretcher. Max weight 200 lbs. 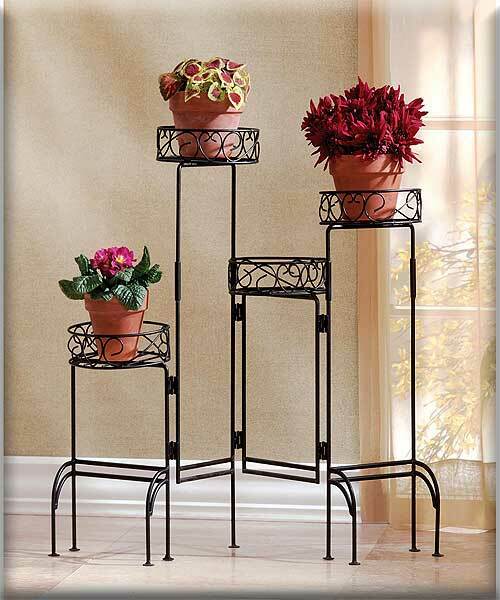 Stock# - 31339 Four-Tier Plant Stand Screen - Form meets function in this versatile design! This interesting screen has four graduated-height panels, each topped with a secure plant shelf; foldable to fit any area. Black finish metal. Plants and pots not included.Maximum weight: 80 lbs. 20 lbs per basket. Stock# - 10015322 Easy Wine Opener Gift Set - Stop struggling and start sipping sooner with this easy-to-use wine opener set! Stubborn corks are no match for this handy opener that pierces the cork and pulls it out with swift action and fluid movement. 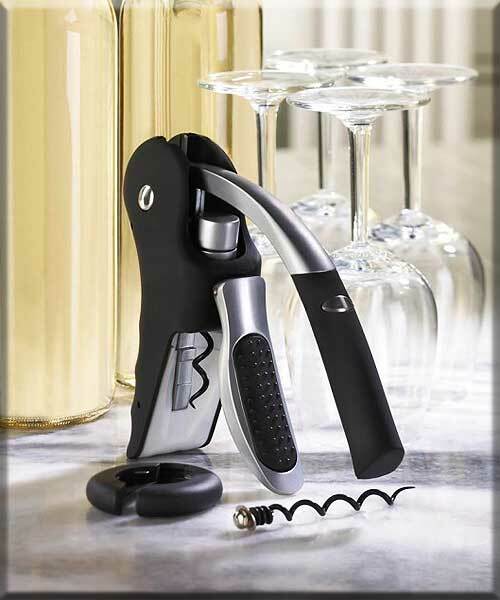 The set includes two different-length corkscrews and a foil cutter that helps remove the bottle wrapping over the cork. Cheers! Wine opener: 5 1/2" x 1 1/2" x 7 3/4" high; foil cutter: 2 1/4" x 2 1/4" x 1/2" thick; extra corkscrew is 3 3/8" long. Metal and plastic. 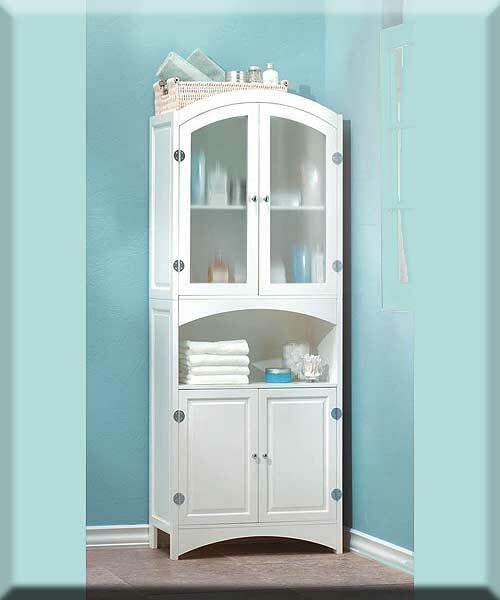 Stock# - 35014 Linen Cabinet - A classic design refashioned with sophistication using silver-finished magnetic hardware and veiled glass doors. This wood escritoire is a stately home for towels, sheets and more. May require additional freight charge. Assembly required. Due to the size and weight of this item, we are ONLY able to ship it within the Continental United States, to physical address locations, and only via UPS Ground.